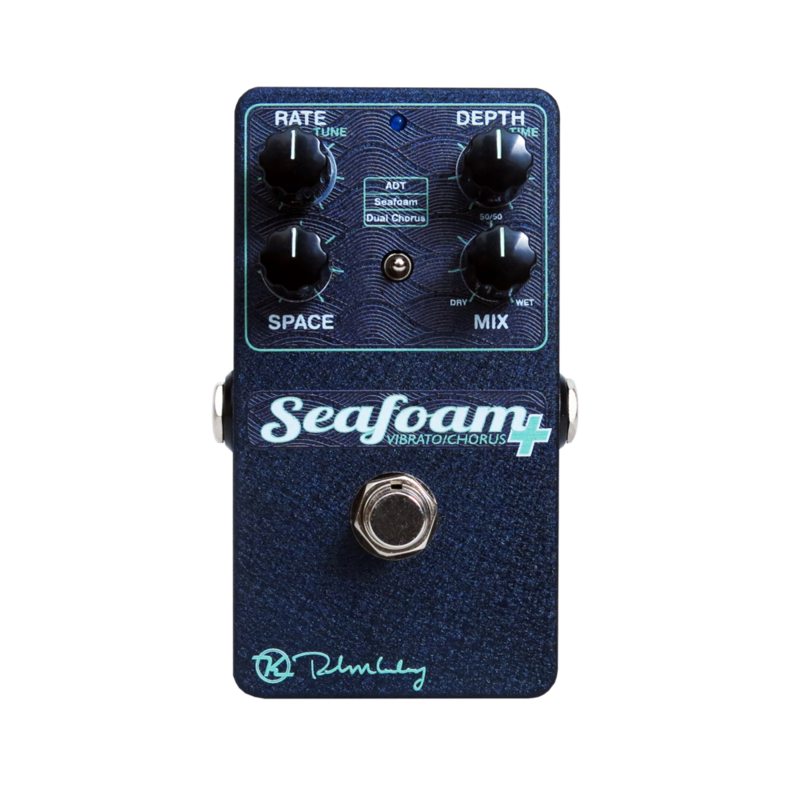 Keeley has upgraded their wonderful Seafoam chorus pedal and added a few interesting and vibrant new sounds. This pedal has some really interesting and well thought out chorus effects including a 3-voice “ADT” chorus that provides beautiful, multidimensional chorus. This is a great chorus pedal for those not looking for the standard detuned sound that most chorus pedals offer you. All three modes on this pedal are useful and have very nice sounds. The space knob also adds more dimensional control to further expand each setting’s capabilities. As far as chorus pedals go, this one is quite versatile. This pedal retains your tone nicely while manipulating it effectively. The integrity of your sound is not lost to the shimmery and lush sounds made by this pedal. With its wide range of sounds and the overall integrity of its effects and tones, this is a great pedal for your live chorus needs. Rate: Controls the speed at which the signal is modulated. Depth: Affects the pitch modulation of the wet signal. Mix: Determines the amount of affected signal is blended with your dry guitar signal. Space/Tone: More on this later.